Data is one of the most important assets in the contemporary world. It plays a vital role in the functioning and operations of almost all businesses and organizations. To accommodate the exponentially growing data, enterprises years ago started using database management systems for better management and ease of data storage. A database management system at an organizational level is meant for planning, controlling, managing, securing, and delivering data wherever and whenever necessary. Businesses rely largely on databases for storing their sensitive operational data and for their functionalities. Organizations cannot afford a failure or malfunctioning in their databases, as it can have a deadly impact on the business. If these databases are not properly secured or monitored, they might be subject to data breaches and other vulnerabilities with catastrophic impacts. Deployment failures is probably the most common and foremost cause for database failures. Although most enterprises tend to have preliminary tests before deploying their databases, they often fall short in testing it properly. 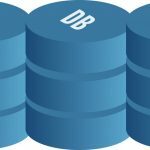 Most pre-deployment tests for databases just check the functionality whether the database is doing what it is supposed to do, but they often fail to ensure that the database isn't doing anything that it's not supposed to do. Getting the work done is not enough, getting it done in the right way, without having any adverse impacts to the business, has to be ensured during database deployments. Traditionally, a database deployment isn't an easy task to do. It involves a number of challenges making the task more difficult. Most development teams in enterprises these days aren't giving sufficient thoughts to planning a database deployment. Adapting source control or cluster services like VCS: Make sure that your database and all its schemas are in a source control, as this makes the deployment easier, more reliable, secure, and auditable. Source control also provides many essential features that will help to manage the complexity of databases as they grow in size and volume. Always have a snapshot of data: Be it a new deployment or upgrading the existing databases, always make sure to have a snapshot of the data backup before you make any changes. This way, your data will be safe no matter how the deployment goes. Deploy the script to a nonproduction environment first: To make sure that the database has been deployed the right way, always test in a trial/test environment before implementing it in the production environment. Make use of the automatic scripting approach wherever possible: An appropriate automated scripting approach simplifies the database development and maintenance. This also makes it easy to track the changes in a database made, rollback whenever required, or even reorder the previous changes. 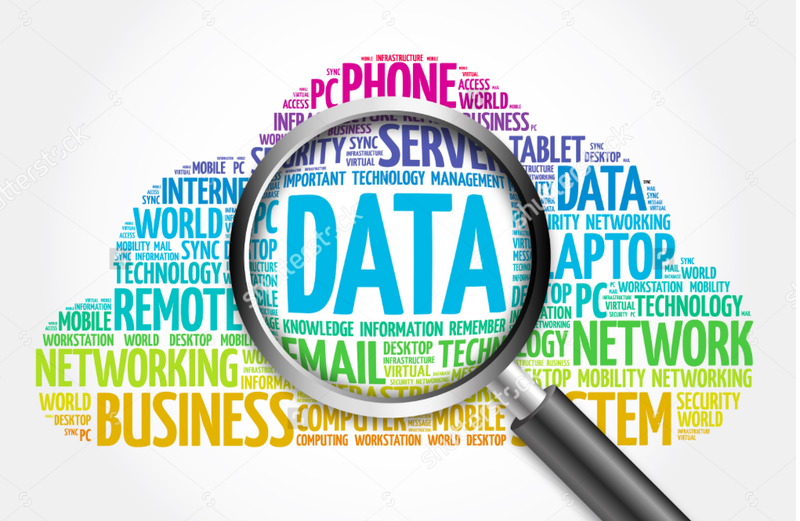 Proper data classification: Before you start deploying a database and filling it with data, it is essential to first properly classify the data based on its severity and sensitivity. This will not only make data retrieval and indexing easy but will also help you to monitor sensitive data in a better way. After the database has been successfully deployed, it is very important to give only the required privileges or access to the users or applications of the database. Most database disasters are often caused by privilege-based issues such as excessive or legitimate privilege abuse, privilege elevation, or unused privileges. Providing unnecessary access privileges the users or applications increases the attack surface of the databases. To deal with privilege or access-based issues at an organizational level is not an easy task. This task doesn’t just require the administrators to eliminate unnecessary excessive rights to the database, but it also needs them to constantly monitor the resources for any privilege-based abuses. Undertaking this task manually is possible for small businesses with a limited number of resources, but to do the same for a large organization manually is near to impossible. Therefore, most organizations these days are deploying readymade software solutions to monitor the privileges of its employees and resources. To avoid intruders or hackers from exploiting the database vulnerabilities with access privileges, implement the right combination of intrusion-prevention systems (IPS) along with a query-level access control system such as SecureSphere. Finally, to prevent legitimate privilege abuse, it is absolutely essential for enterprises to understand the context of database access. Implementing proper policies to monitor client applications, date and time of access, and location can help in knowing who are using legitimate database access privileges in a suspicious manner. SQL injection is a common web and data-hacking technique, which involves placing malicious code in the database through vulnerable SQL data input channels. It is also one of the most popular vectors of attack for databases that might even completely destroy your database. In a typical SQL injection, a hacker or an intruder injects an unauthorized piece of SQL code or stored procedures into the database, typically through the web application’s input parameters. These injected statements are specifically meant to execute at the database level for malicious purposes such as data security breach or for destroying the data. Successful execution of an SQL injection can also give attackers unrestricted access to the entire database. The above SQL query is valid and will return all the rows from “User” table irrespective of the existence of a user with id=105 since 1=1 will always return true. The above line of code can also fetch all the sensitive data such as username and passwords of all the users stored in the database. Looks dangerous, doesn’t it? To prevent SQL injection, a balanced combination of intrusion-prevention system, query-level access control, and event correlation can be used. Some of the additional techniques to prevent this attack are: principal of least privilege has to be implemented at the database level. This way, although an intruder injects a harmful piece of code into the database, it does not get executed due to lack of privileges. Moreover, cleaning and validating the inputs from the users before sending it to a database can also help preventing these SQL injection attacks. Another effective way of curbing SQL injections is to implement parameterized queries. A parameterized query uses a parameter instead of directly injecting the values. Implementing error messages or using stored procedures can add an extra layer of data abstraction for security and can aid in preventing SQL injections. Every day, thousands of issues are being reported around the globe regarding database attacks or exploitations. Each time this happens, a hacker comes up with a new vulnerability that allows attackers to crash, gain access control over, and exploit databases with vulnerabilities. Thankfully, most database vendors are keeping pace and are providing attack-resistant database services. Vulnerabilities like SQL command injections or database buffer overflows have gone down to a great extent as the vendors are being proactive or responsive in providing patches to vulnerabilities. These database vulnerabilities can be caused due to multiple reasons. Lack of proper data management, data leakage, unmanaged or uncategorized organizational data, and lack of constant monitoring are some of the most common reasons for database vulnerabilities. Database vendors need to identify these issues and roll out regular updates or patches to fix them. Therefore, to prevent hackers or intruders gaining access to your sensitive organizational data, keep your databases patched regularly and make sure to maintain a constant monitoring at its functioning and access privileges. Denial of services is a form of cyberattack wherein a hacker or an intruder prevents legitimate users from accessing certain resources or a service by temporarily or indefinitely disrupting the service host. A database is one of the common victims of a denial of service attack. In this, a hacker overloads a company’s database with multiple requests/queries at a time. This will consume almost all system resources such as server’s and database’s memory, or the CPU processing power, crashing a business website or a service. The infamous Mirai DDoS attack was one such example of a denial-of-service attack, in which the attackers used Internet of Things devices to take down host services. To prevent such attacks, try allocating more system resources to accommodate higher user requests simultaneously. Also, there are currently a lot of third-party software solutions to identify, detect, and separate the legitimate users from the malicious traffic. Finally, implementing DDoS attack response systems could reduce the adverse effects of DDoS attacks by using technologies to prevent these attacks. Databases are the storehouses of all your data. Be it your personal data, organizational, or even the most sensitive business data, it has to get stored in the databases. Therefore securing these databases should be a high priority in every industry. Ensure your databases are properly configured and deployed. Also make sure that you leave no stones unturned in terms of security, so that your databases remain safe, secure, and resistant to cyberattacks.